Below you will see a selection of Titan Surge Brake Trailer Actuators for both Disc and Drum Brakes, as well as replacement parts for them. 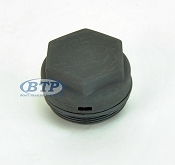 All the Surge Brake Actuators below are designed for Straight 3 inch wide trailer tongues. They are Bolt on assemblies. 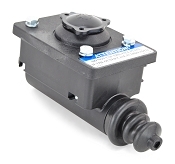 Surge Brake actuators are manufactured specifically for either Hydraulic Disc, or Hydraulic Drum Brakes. The difference between the two designs lies in the Master Cylinder. 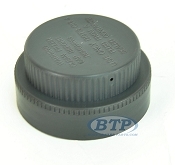 You are able to covert Surge Actuators from Drum to Disc or Disc to Drum by replacing the Master Cylinder with the appropriate Master Cylinder for your desired brakes (Disc or Drum). Disc brakes in addition require a Boat Trailer Disc Brake Free Backing Reverse Lock Out Solenoid Valve to prevent the flow of Hydraulic Fluid to your Disc Brakes as you reverse. Drum Brakes do not need this device as they are already free-backing. All replacement parts are Brand and Model Specific, so check the model and capacity of your Titan Surge Actuator to ensure proper fit. 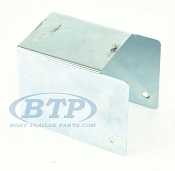 Titan Surge Actuators will work for any Boat Trailer of the appropriate capacity and tongue width. Titan Hydraulic Surge Disc Brake Actuators are perfectly compatible for use with Kodiak Boat Trailer Disc Brake Kits. Surge Brake Actuators are Brand and Model Specific. However, you can replace one Brand with another, as long as you are replacing the entire assembly. 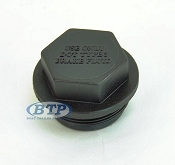 As we are a Titan dealer, we carry all Titan Surge Brake Actuators and replacement parts for them. Titan Brand products are top of the line and are built with a Tough Zinc Plating for corrosion resistance. If you are switching from one Brand to Titan, you may have to re-drill bolt holes to mount to your trailer tongue.